Re-using previous test scripts can be a great time saver during the Workday update window. But doing so isn’t simply a matter of grab and go. In this post, we share two essential housekeeping tasks you'll need to complete first. sourcing new data that meets each test’s conditions. So, before the preview window arrives, you need to bring your scripts and your test data up-to-date. In your test plan, you’ll have a prioritised list of exactly which tests you plan to run. Compare each script against the corresponding business process in your Workday tenant, note any differences, and then update each test script to reflect your current business process. 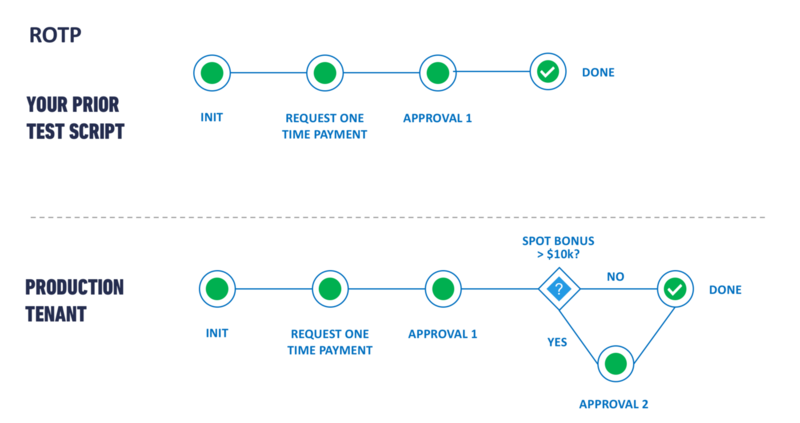 For example, the script for your Request One Time Payment process might show only one approval. But you can see in your current Workday configuration that the BP has changed since your script was written and now shows a second approval step whenever the request is over $10,000. Does your test script, as written, still hit the conditions of this BP? Do you need two test cases now to adequately cover this BP: one below $10K and one for above $10K, to verify through your testing that the additional approval kicks in? 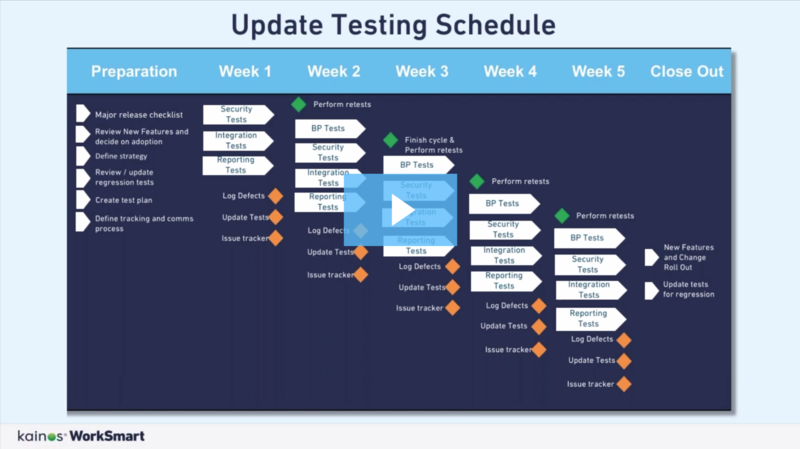 Reviewing your scripts and configuration side-by-side in this way will ensure that the test packs you give testers are aligned to your current configuration and will reduce confusion during your Workday update test cycles. Data prep is one of the most overlooked stages of test preparation. Yet, in your production tenant, data changes constantly. For example, workers get promoted and demoted, they move to different supervisory orgs or locations, salaries and benefits change, and some leave the business. 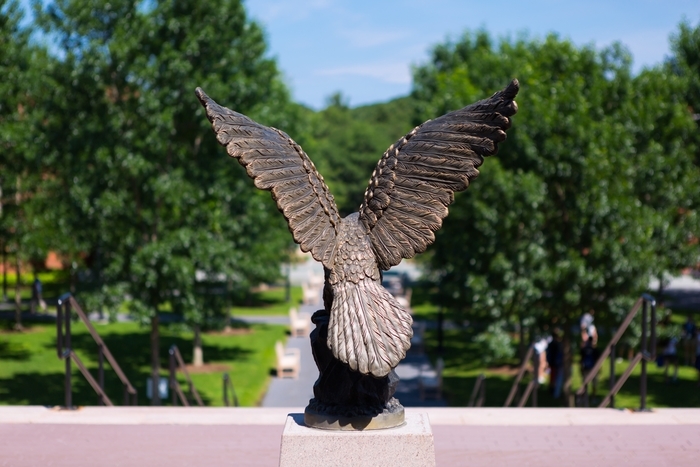 New locations, supervisory orgs, and security groups are added through mergers, acquisitions and restructuring…or are removed altogether during downsizing. Clients and suppliers come and go, and their details change. You’ll spend the start of the preview window scrambling to refresh your data—working out over and over, for example, which workers in your worker population work at a particular location and job level with the specific salary range and eligibility criteria to fulfil each test’s conditions. Outdated data will make investigating defects difficult, because you won’t easily be able to know if a test failed due to an issue with your configuration, an issue with the new version of Workday, or because the data in the test script was inadequate. You also risk false positives, where your tests appear to pass, but it’s only because the test data used in the test wasn’t fit for purpose. 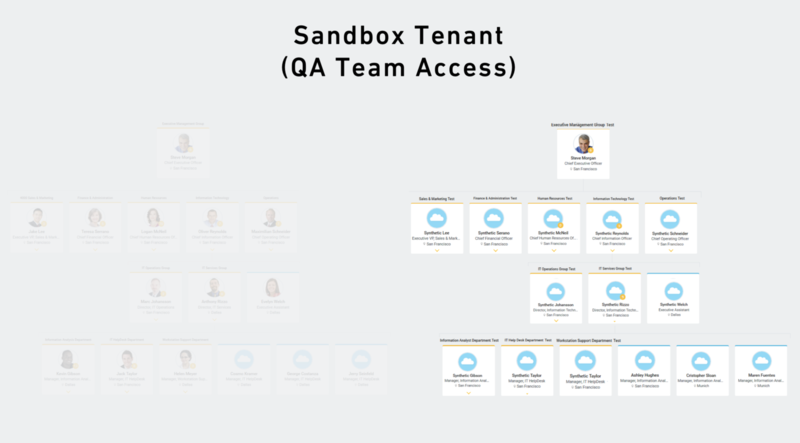 This can lead to defects in your sandbox preview tenant going undetected and later making their way in to your production tenant when the Workday update goes live. At Kainos, we’ve changed our approach to test data and no longer rely heavily on existing workers. As Geoff McMinn, our VP of Product explains, “Instead, we create synthetic workers—a group of made-up workers that mirror our real employees and are used to fulfil the specific needs of our test cases. By using synthetic data, we have the ability to hire in workers in any location, at any job level and with any job type. This removes the maintenance overhead on our test packs as we approach a regression testing event—for example when real employees leave the company. Through the powerful combination of Kainos Smart’s test automation and test data generator, you can create synthetic workers on the fly that mirror your real worker population and automatically hire them in for use throughout your test packs. All synthetic test data is available in regionally-accurate data formats, be it US zip codes vs European postal codes, Social Security numbers vs National Identification Numbers, or phone number formats from around the globe. Kainos Smart’s automation and synthetic data capabilities can create a compliance safe-zone for test activity. Create and populate synthetic orgs with synthetic worker data, then limit test team access to these in sandbox. Using Smart’s automation, you can also set up synthetic supervisory orgs that mirror your production configuration and schedule these to automatically regenerate whenever your sandbox data is refreshed. 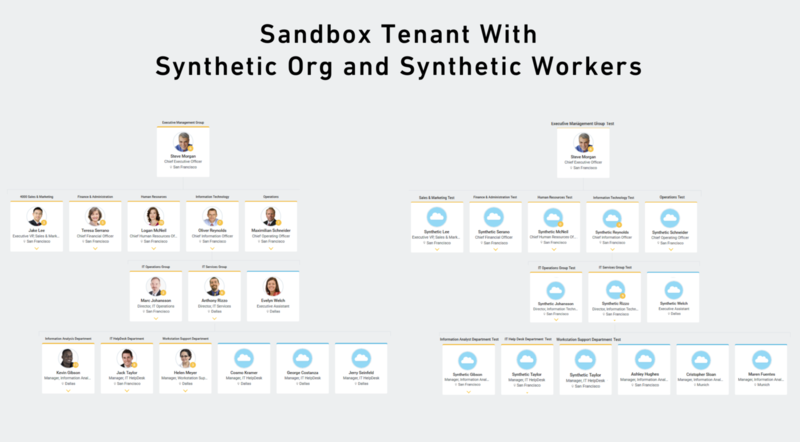 A sandbox tenant full of synthetic orgs that are populated with synthetic worker data creates a safe zone not only for Workday update testing, but also hands-on Workday training and for screenshotting data-safe job aids. Contact us to learn more about how Kainos Smart’s synthetic data could speed up your test preparation and support your compliance efforts. 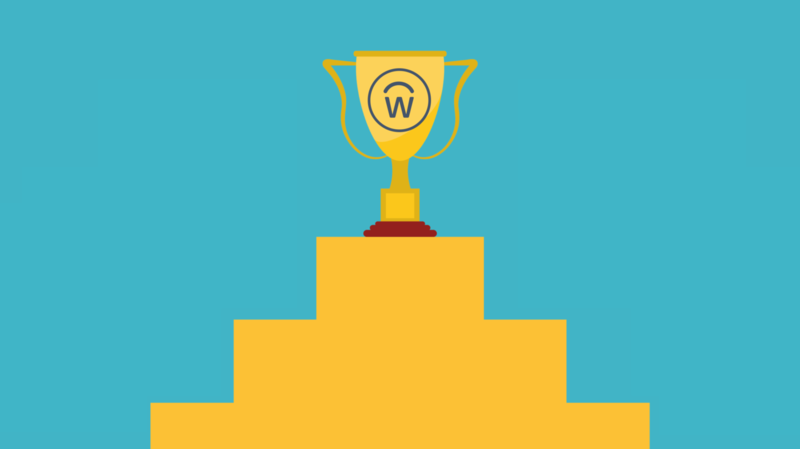 Watch our Q&A for FREE advice from our Workday testing expert on how to improve testing of your Workday configuration during the Workday 32 release and beyond.